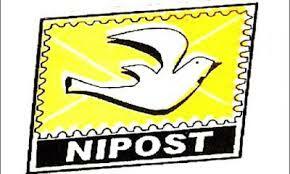 The District Manager, Nigeria Postal Service (NIPOST), Ilorin, Mr Godwill Magulike, said on Friday that the agency would soon introduce agency banking services in its operation. Magulike told the News Agency of Nigeria (NAN) in Ilorin that the agency’s banking services would enable Nigerians to send money across the country and beyond, thereby complimenting its courier services. He said that NIPOST had earlier introduced other products aimed at reviving the postal system, serving the people better and increasing patronage. He listed the products as money order, electronic stamps and address verification, among others.“We have come to an era in NIPOST where we have to re-examine the activities of postal service in line with modern technologies. “We also try to showcase our new products in the market apart from our core posting responsibility.“For instance, with the introduction of agency banking, people can easily send money to their loved ones, across the country. “We target bringing out new potentials of the service to meet the present demands in the country.“This effort requires strong collaboration with the private sector whose investment capital and expertise are crucial. “We are indeed getting back on track as we are reinventing, embracing digitization, redefining our value proposition and developing new product services”, he said.